The 2013 Wanee Music Festival at the bucolic Spirit of the Suwannee Music Park (SOSMP) in Live Oak, FL radiated positive, feel good energy while feeding all present a delicious feast of melodies. Florida did its best to provide every weather possibility from hot sunshine and torrential downpours to downright chilly nights. Abundant campfires, the spindly oak and cypress canopy draped in Spanish moss, windy dirt roads, forests and fields dotted with ponds and pockets of brightly colored wild flowers made for a unique and somewhat mystical camping experience at SOSMP. With long tangles of Spanish moss streaming all the way down from the canopy nearly to the ground, I realized for the first time, even the trees at SOSMP have dreadlocks. The fifteen-hour rain shower didn’t dampen spirits Friday afternoon through early Saturday. Just before the deluge, Gov't Mule rocked the forest and became what I’ve heard called “Gov't Panic” for a few favorites including Cortez the Killer. This sharing of talent between bands provided a smooth transition into Widespread’s act. Late night, as the rain poured down, we swayed, drenched and smiling to The Allman Brothers. Later on, still in the rain, Steel Pulse shook the amphitheater with their classic reggae beats. Poncho, rain suit and garbage bag clad festival-goers danced the night away in the Chilly Water. Though every musician clearly gave their all to each show, undeniably, Michael Franti gave the most crowd engaging performance. He danced barefoot into the crowd numerous times, gave a fans’ hands not just a shake or a high five, but a squeeze complete with a wink and a smile. He took cameras from their hands and took photos from his vantage point, then gave the cameras back to their ecstatic owners. He invited fans to dance on stage and even ended up doing yoga hand-stands on stage with one fan. He did this all while singing his mostly up tempo peppy pop songs. However, shortly after Franti was presented with a birthday cake on stage complete with cake, candles and birthday hats emblazoned with peace signs, Franti pushed the crowd to get emotional. He brought an inspiring couple out on stage and gushed to the crowd about their bittersweet, ALS tinged love story. For more on that, check out http://www.hopeforsteve.com. The Susan Tedeschi Band opened with a favorite, Midnight in Harlem and proceeded with an amazing show. 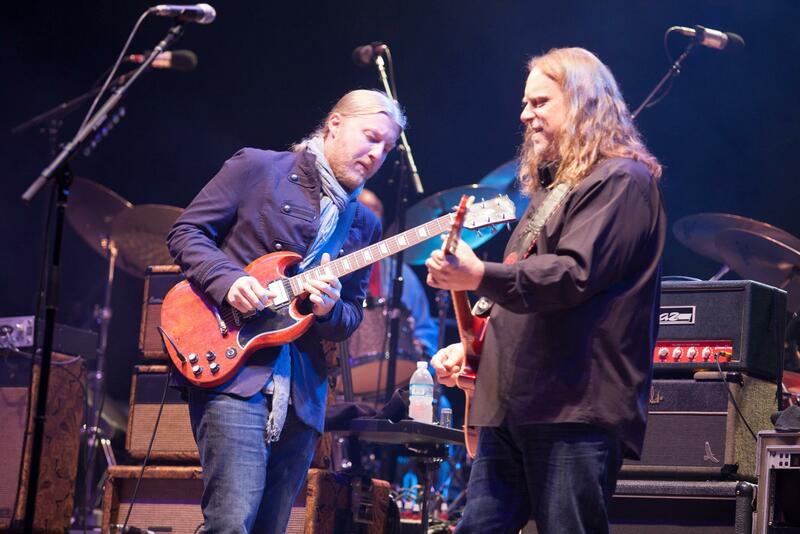 Derek Trucks played his heart out for close to six hours straight on Saturday night- a true guitar hero, guitar machine. Early in the Allman Brother’s Saturday set, their version of Good Morning Little School Girl could have possibly been played in tribute to the late Alvin Lee who passed away in March. But truly notable moments were towards end of their set, Gregg Allman stepped from behind his organ to pick up an acoustic guitar and play Long Black Veil and Melissa. This was the first time in several years that I have seen Gregg Allman feel well enough to play the whole show and play guitar. Of course during this special moment that would’ve been great to photograph, I was as far away from the stage as I could possibly be taking my end of the night tripod, wide angle photos. A spine tingling Whipping Post warmed up the cold night and made me not care so much as wish lanterns took off for the stars. David Shaw of the Revivalists joined Galactic on the amphitheater stage and treated us with soaring, unexpected vocals and energetic showmanship for a late night show. 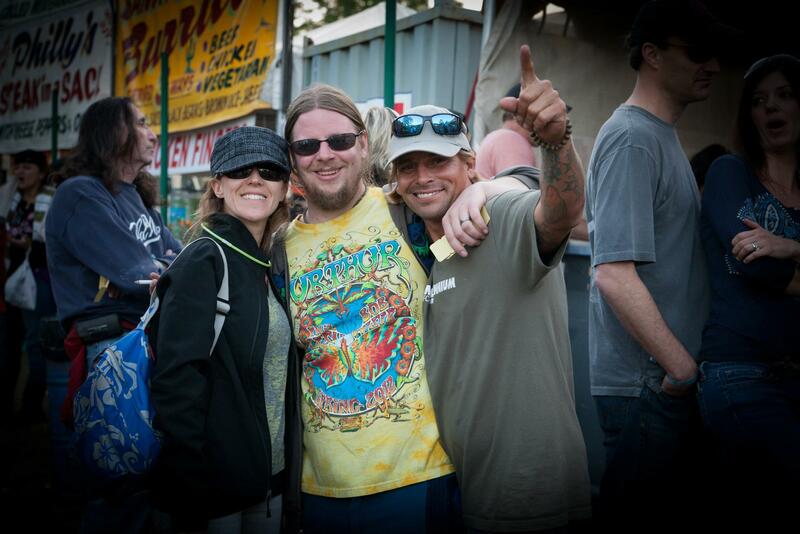 I’d love to hear Shaw and Susan Tedeschi sing together…maybe at Wanee 2014. The last song of Wanee was a cover of Led Zeppelin's When the Levee Breaks. Mean old levee taught me to weep and moan, if it keeps on raining, the levee’s going to break. David Shaw’s vocals were strong and clear enough to ring out in perfect pitch through the still dripping forest. The singing, seething crowd, ridiculous laser lights, huge trees completely lit up, the irony of the rain, the fact Robert Plant sang this song right here in 2011, all these things made this the most perfect way to end a spectacular Wanee weekend. 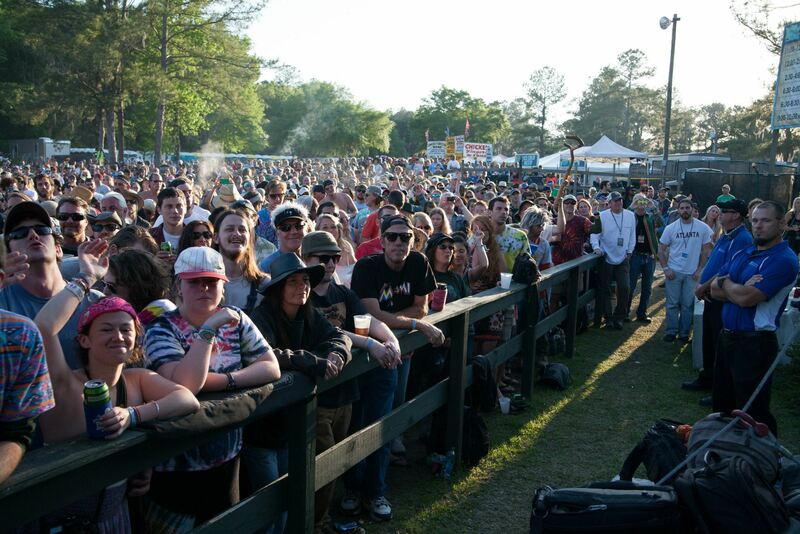 Though Wanee was awesome, I am compelled to mention a couple of complaints. Maybe I’m old fashioned but the giant Wi kind of video games set up during the Allman Brother’s show were distracting and seemed to contradict the “be in the moment” message otherwise strong throughout the festival. Three twelve foot tall video game screens going on in the same field as The Allman Brothers show seemed insulting in a way. Each to his own, but this wasn’t for me or anybody with me. The next issue I noticed is not something unique to Wanee and it is something I think we can all do something about at every concert we attend. In the daylight I saw people make their way through the crowd just to get to a trash can to throw something out, but in the morning, the field was thick in plastic water bottles, cups and food trash. In everyone’s defense, once the sun goes down, it’s hard to see the trash cans because it’s dark and most of the field is jam packed with people. What if there were glow in the dark trash cans that were solar? What if everyone would cooperate and pass a cup down a line to trash cans that could be seen at night? We need to be more conscientious! It’s kind of an embarrassing walk of shame to see this massive mess the morning after. Photographing Wanee gave me a chance to see and permanently hold onto the space between the notes, 1/2000th of a second quiet between bass lines, 1/125th second smiles between dueling guitarists deep in concentration, lovers holding hands, and high fives and hugs between friends old and new. From what I observed and the general consensus of everyone I talked with was that this year’s Wanee was one of the best and that it was definitely better than last year’s. Fans, including Rock’n Johnny and Tracey from Hollywood, FL, agreed that last year had, “a different, more intense vibe” and that this year was, “more laid back and fun”. There were constant reminders throughout the weekend to love your neighbor and be present in the moment. 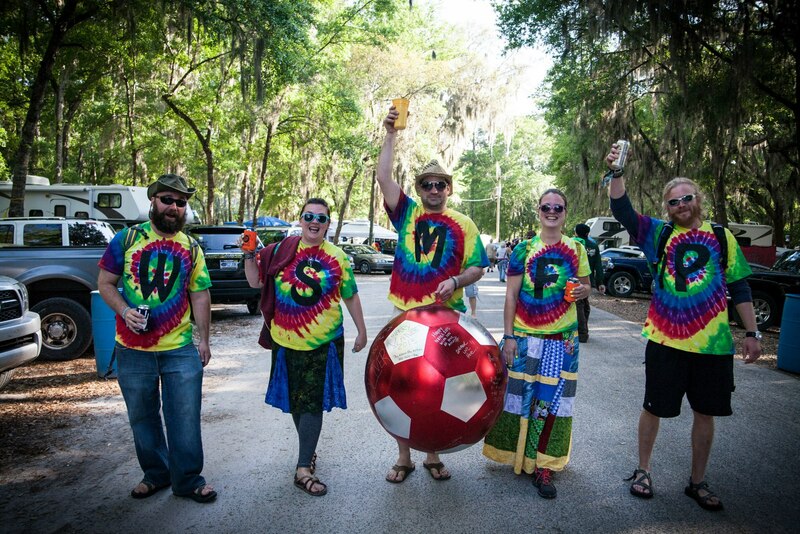 Kathy who writes for a site called festivalsurvival.com told me she felt, “Wanee is like a big family where year after year you see familiar faces and it’s a more laid back, friendly, trustworthy crowd than some other festivals such as Bonnaroo”. That energy combined with an irresistible lineup makes it obvious why so many return to Wanee every year. 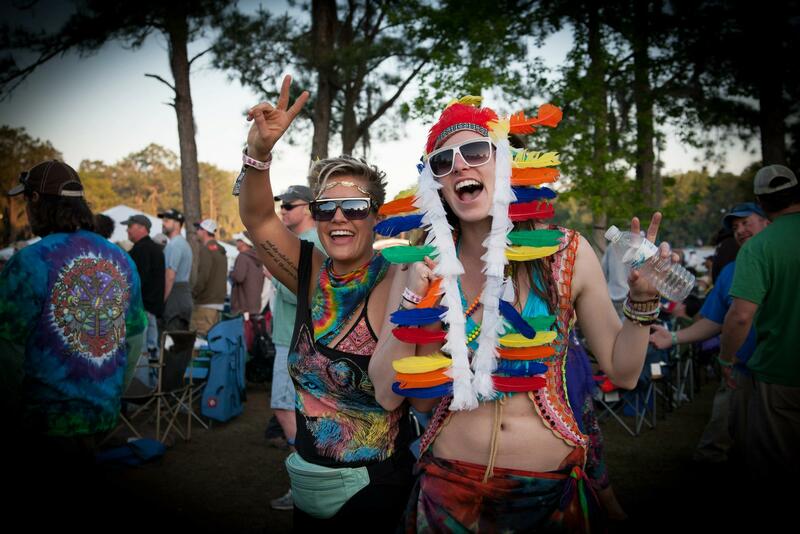 Check out many more photos from Wanee 2013.